For years now, China has been leading the world in their industrial boom that has made their economy flourish. They have dominated the metal market for over a decade and utilized the raw materials offered to build their factories, homes, power lines, and overall infrastructure. Although China is still growing, it has slowed down tremendously compared to previous years. Now, the different industrial sectors are scouring the market to make new uses of the raw materials. China was and is still currently the world’s biggest buyer for metals. 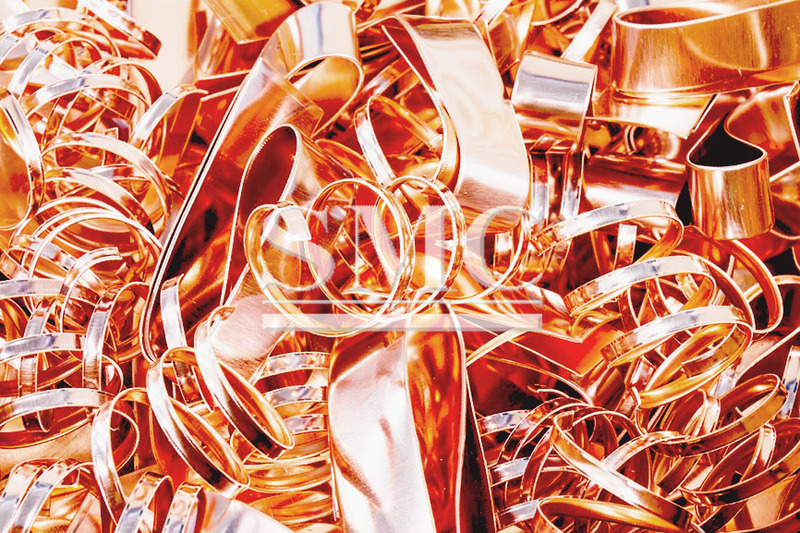 In recent years, the demand for copper was at an all time high with China in the lead. At the start of the 2000s, China’s economy was increasing at a rapid rate of double digits per year, but since 2010, it has only been increasing by about 6.7%. The country itself was able to consume almost half of the worlds copper in 2014. Over the past few years, the demand has dropped tremendously and this year the country is experiencing the slowest growth in copper use. Also, the base metals such as aluminum and nickel headings towards their first quarterly design in over a year. There have been studies and research that have helped develop new possible ways to utilize the various metals such as copper. Copper contains properties that have the ability to kill microorganisms, a quality that can help reduce bacterial growth. Purdue University is starting to integrate weight-lifting equipment that is coated with copper to help prevent the flu and viral infections from spreading. Multiple countries such as Chile, Japan, Canada, Australia, and Norway are lining their cages in salmon farm with copper to fight the spread of bacteria. Codelco, a Chilean mining company is starting to promote the use of copper in areas such as hospitals and airport – very public areas that are hosts to many several bacteria. Other uses such as baby clothing, dental floss, and even socks were presented. 3-D printing was introduced a few years ago and has been developing ever since. It was slow at first, but recently, aluminum is starting to grow in the area of 3-D printing. Other materials such as titanium, cobalt, and chrome are being used in different industries such as aerospace. With the world putting in effort to reducing emission and greenhouse gas, electric vehicles are becoming a popular trend that many people are considering. Electric vehicles commonly use the lithium ion which contains cobalt, as well as other materials like nickel and copper. The idea of mining for these three materials has been promoted to help increase the number of electric vehicles. As technology continues to develop, the uses of metals are developing with it. Before, they were primarily used for infrastructure, but now, they are being put to different use that could be beneficial to the whole world.